By making a $260 million structured investment in the One Chicago Square development project, Square Mile Capital Management has boosted its Chicago area presence. The New York-based firm, which is actively investing in both equity and debt opportunities across the country, announced that it is capitalizing local developer JDL Development Corp and Wanxiang America Real Estate in connection with their 76-story, 1.5 million-square-foot mixed-use tower in the city’s River North submarket. The project’s total cost is expected to be $850 million. Square Mile Capital Managing Director Matt Drummond said, “This represents a major step forward for our firm’s goal of becoming a capital provider of choice for best-in-class owners and developers of transactions of scale in urban markets with the requisite attributes for sustainable growth in a rapidly evolving technology-driven environment. “A large part of what is fueling our growth is our unique ability to take on attractive situations that call for complex ownership and debt structures. 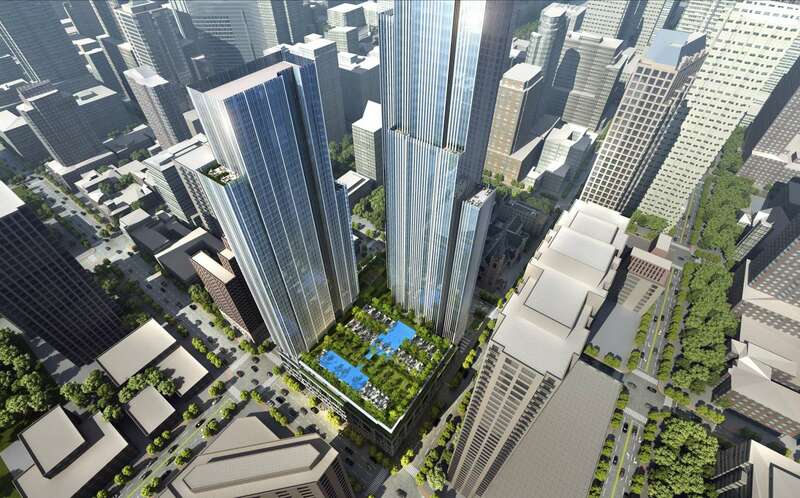 The One Chicago Square development is a perfect example. We saw this as a great opportunity to provide a structured investment in a development project that is extremely promising, given the ongoing local demand for high-quality residential and retail product. “The best submarkets in Chicago are experiencing significant demand as a new generation of young professionals seeks to enjoy the rich, multi-faceted 24/7 urban lifestyle that the area offers. We anticipate that this part of Chicago will continue to exhibit strong fundamentals and we are pleased to invest accordingly. The One Chicago Square project will feature 735 residential rental units, 77 residential condominium units and 193,000 s/f of retail space that is substantially pre-leased to Whole Foods and Lifetime Athletic. Also included will be office and event space, and over 1,000 parking spaces.